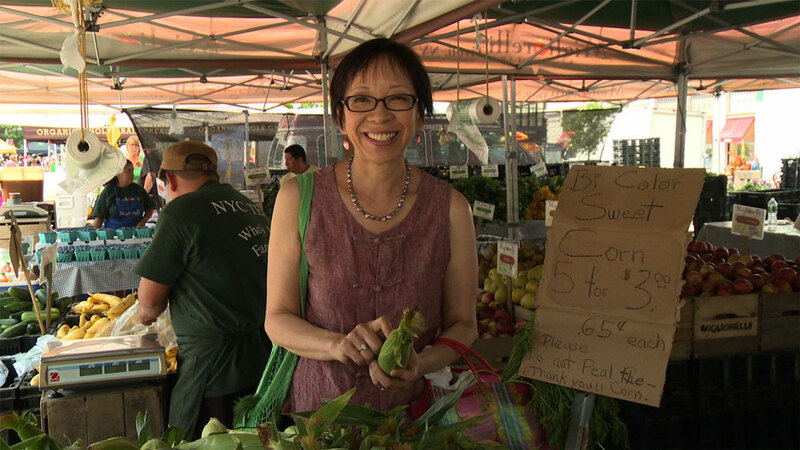 This month one of Wok Wednesdays featured recipes is Jean Yueh’s Shanghai Shrimp from “The Breath of a Wok.” I was planning on posting a little piece on Jean last week and had the idea that I would call her. It had been awhile since we last spoke and I thought she would enjoy knowing our group was about to cook her recipe. To my shock her phone number belongs to someone else. I tried checking FB and google for info on Jean, or her son Ted without luck. I sat staring at the photograph of Jean, Alan Richardson took for “Breath” and couldn’t believe I had no way of finding her again. It made sense that she had moved. 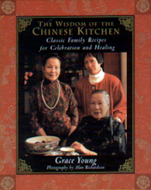 When I visited her in 2002 for our cooking interview she lived in an enormous house. I went back to my notebook and read through my notes from our cooking interview. 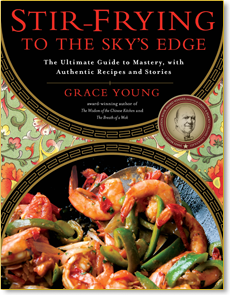 She explained the Shanghai Shrimp is a common family dish. In Shanghai her family often ate this as a cold appetizer. The shrimp are stir-fried in the shell because the shrimp flavor is more intense with the shell. Jean had a clever way of cutting the shells without removing them. 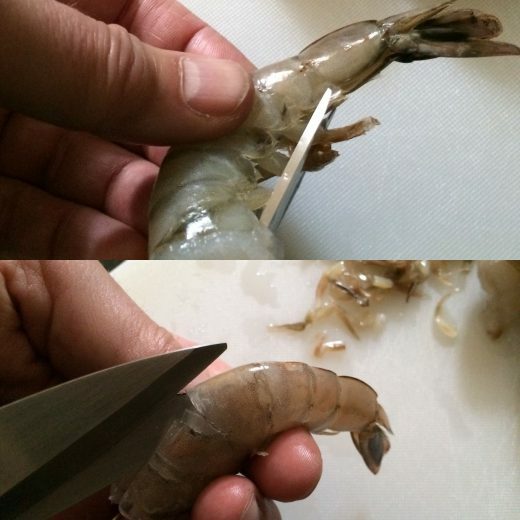 She used kitchen shears to cut the shrimp “legs.” Then she made a cut 2/3’s of the way down the back side of the shrimp, just enough to expose the vein. She rinsed the shrimp under cold water and then patted them dry with paper towels. It’s a shock to most people that the recipe calls for 3 tablespoons of sugar. After stir-frying ginger and scallions the shrimp are added and stir-fried briefly. 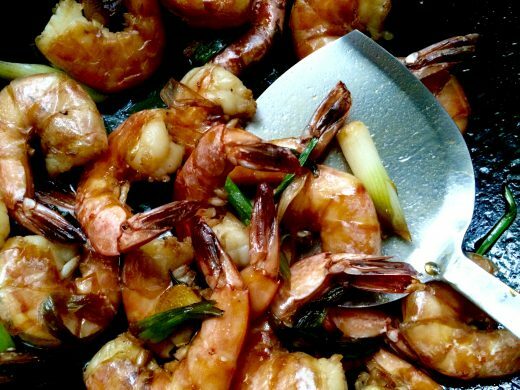 Sherry is added, then soy sauce red wine vinegar and sugar and the shrimp are stir-fried for another 2 minutes. In that short amount of time the sauce reduces slightly and the sugar caramelizes into a mellow sweetness. The final touch is a little sesame oil. As Jean says the sauce is so good part of the pleasure is sucking the shells. 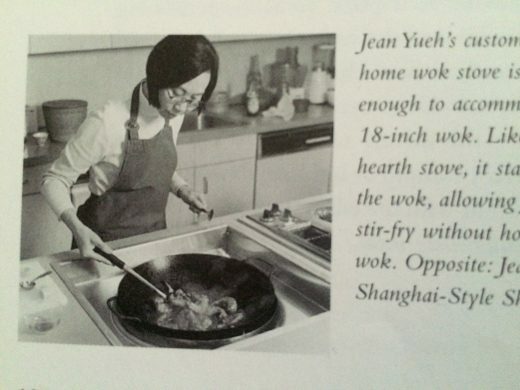 I still hope I will find Jean but in the meanwhile, enjoy her wonderful cooking. This is a magical dish. 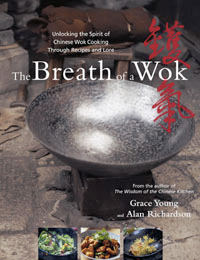 PS If you cook the shrimp and post a photo on the Wok Wednesdays FB page you can enter our giveaway contest. The FB page gives you the complete rules for the contest. Hope you find her too!